Ordinary Goodness: Springtime, new birth, and my grandmother. Springtime, new birth, and my grandmother. My father's mother was born at the start of spring. Since I was a child, I have carried March 21 around specially in my heart, knowledge that is not knowledge but simply truth that slides in and stays: spring equals Nana, and Nana equals spring. and all fall down together! 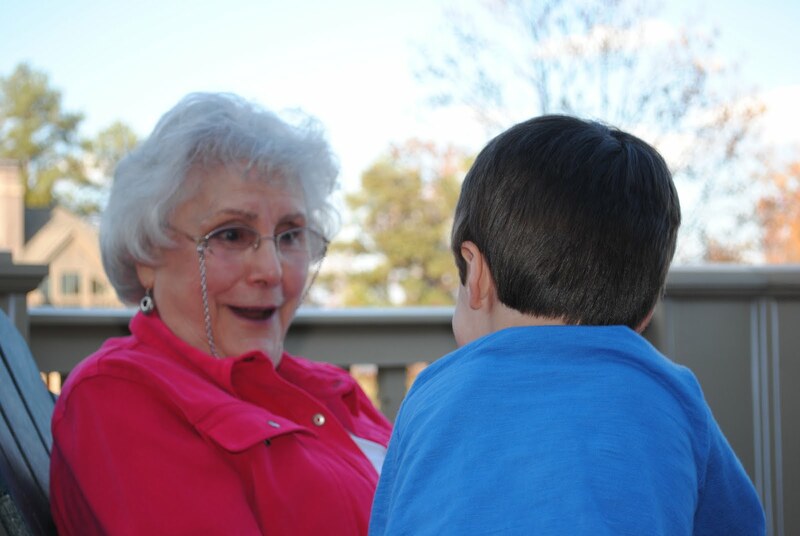 I like to imagine the signs of new life that crept forth with her birth on 1928's first spring day in Athens, Alabama. I imagine her first wail piercing the air in equal time with the blue jay's song, the hawk's dive, the irrepressible wing beats of the hummingbird. Drawing breath with the birds and buds, for a moment she held the full and unknown world within herself: all change and challenge, slats of shattering lightning and gentle stirs of blossoming breezes. I imagine her Irish pastor father bending down to bless her, his only daughter. I imagine her mother, born in China to missionaries, lifting her up with lullabies, her fifth child. I imagine her four brothers, who then ranged in age from nine to fifteen, passing her back and forth between themselves, cradling their baby sister with curiosity and amusement. Even on stark winter days, even in the sweltering summer, she brings me springtime moments. She shares our family history, storytelling with breadth and depth, our ancestors as familiar to her as neighbors. She brings her friendly smile to strangers, and still gathers with her close-knit college friends, a breath of fresh air to both. She took me on my first transatlantic adventure, to County Wicklow, Ireland, and we stood on rocks overlooking the Irish Sea at dusk and one minute the sun shone and the next it washed itself in shadows, and it was so important to stand next to my grandmother in those moments. She sings the hymns we've both known since childhood (since she helped teach them to me, of course), her southland soprano strong and sweet. She embraces and laughs with bursting beauty, sweeping us up into safety and joy. Her kisses sigh softly on our cheeks, and I would fall asleep listening to her blessings and prayers, her stories and songs. I sent her not one, but two birthday cards last week. The outdoor, beach-y art on each pulled me into her heart, her love of water and sky. "What could be better than lying in a hammock or being out on the bay in a sailboat?" she wrote back, then added: "Having you with me would be." And I cannot wait because soon I will be with her, this weekend for Easter, and even if it's the second coming of winter it won't matter, because spring equals Nana, and Nana equals spring. I can not tell you how your words brought grace to me today. I miss my grandmother. Wonderful post.